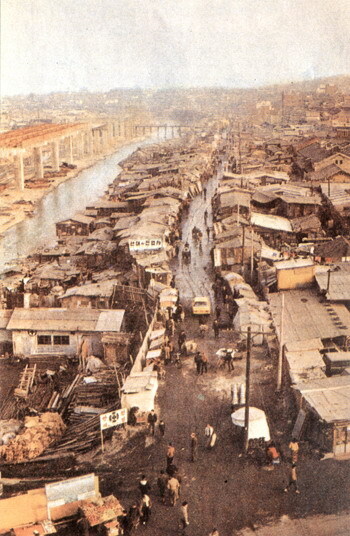 Cheonggyecheon (청계천, 淸溪川, lit. 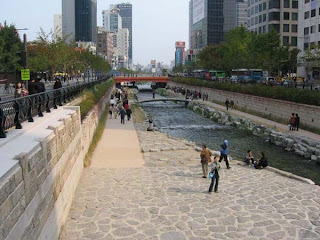 clear open stream) is a small brook flowing through Seoul before connecting to the Han River. 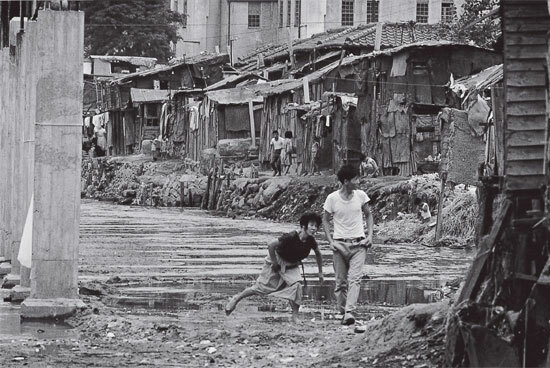 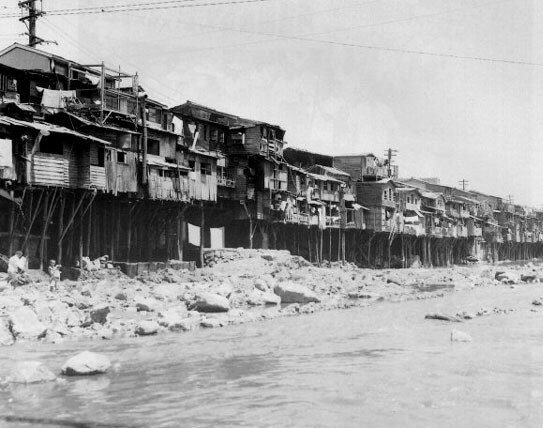 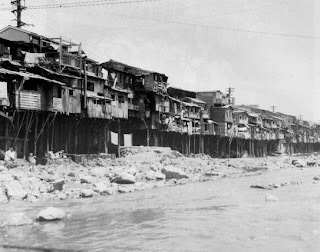 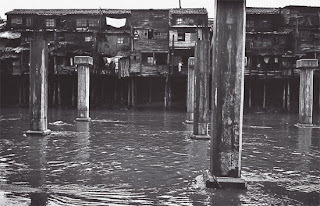 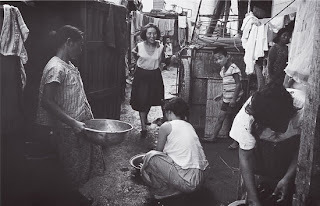 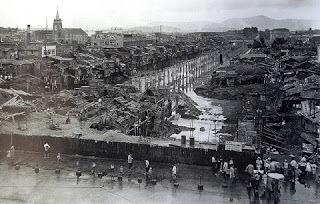 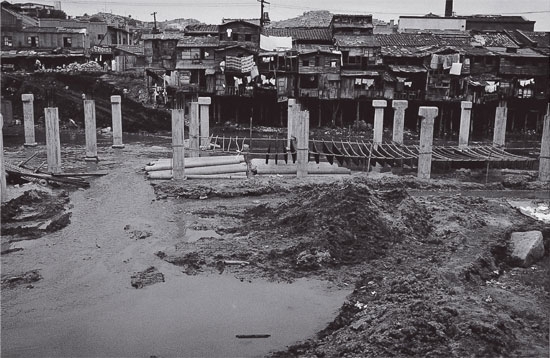 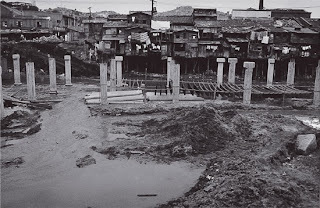 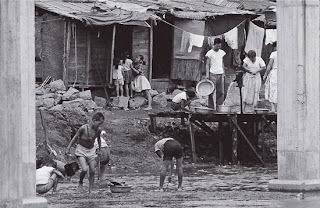 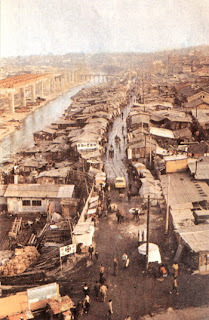 First surrounded by slums, then dredged during the Japanese occupation, the highly polluted river was then covered with a concrete in the late 50's and topped with an elevated highway in the 70's. 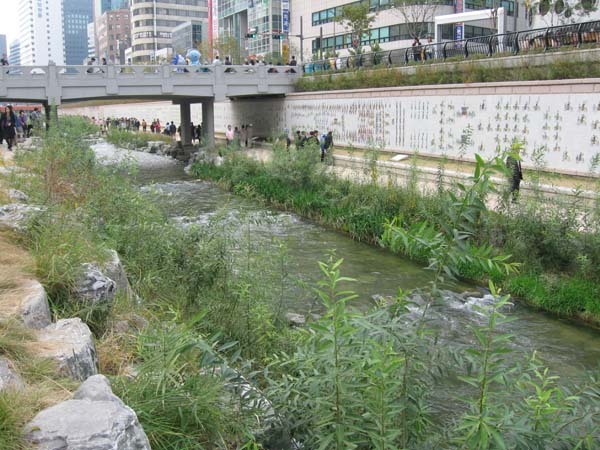 In 2003, then Seoul mayor and now president Lee Myeong Bak decided to rehabilitate the stream. After destroying the highway and several months of excavation works, the river was flowing anew in the middle of the city. The project was the target of several criticism for depriving an already traffic congested city from one of its main axis as well as for draining water from the main Han river to feed the flow of the smaller Cheongyecheon. 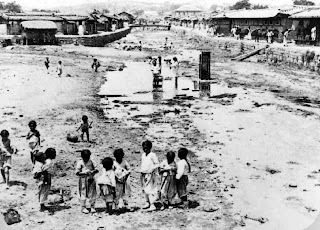 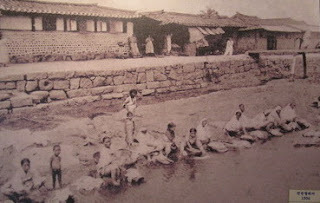 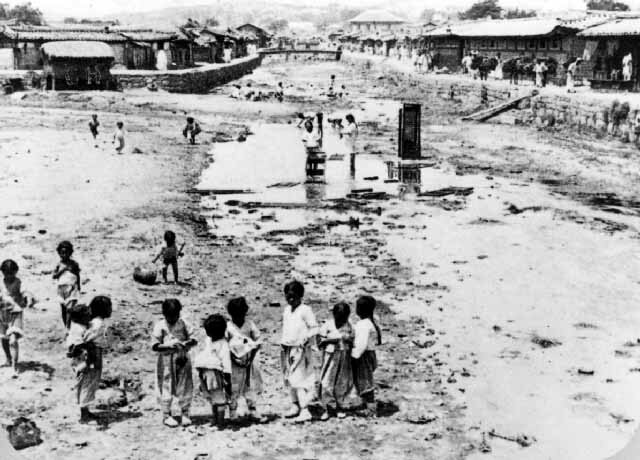 The stream was the scene of several construction work during the Joseon dynasty. 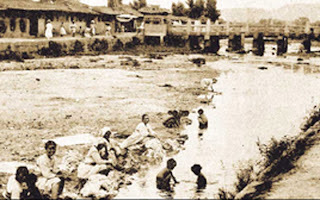 Stones embakments were built to prevent flooding and several stone bridges crossed over the river. The stream's main function was to collect sewage and drain it to the much bigger Han river. 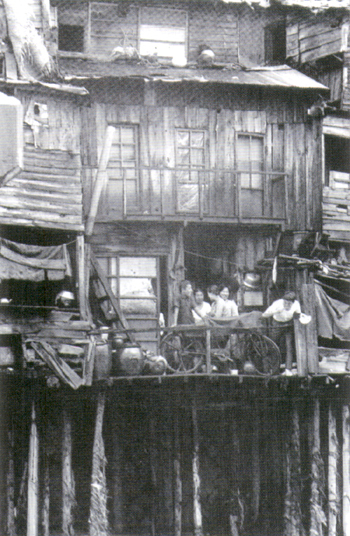 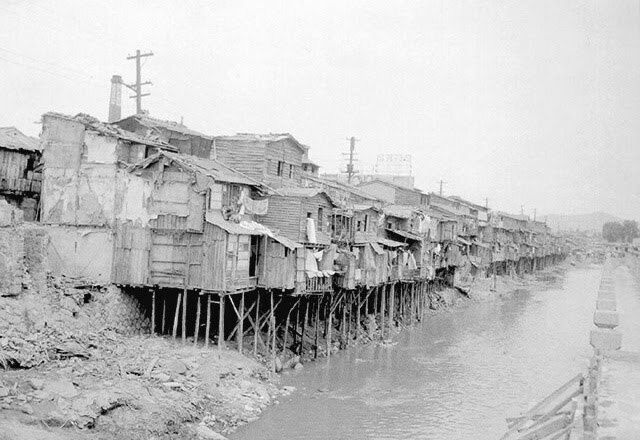 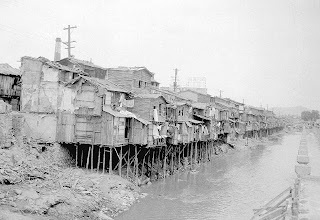 The poor allegedly lived on the left bank of the stream while the rich resided on the right side. 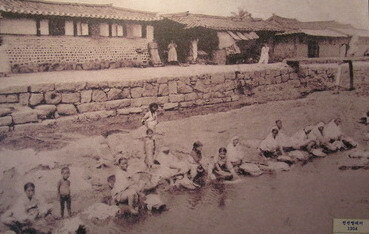 During the Colonial Period, the Japanese occupant renamed the river from Gyecheon to Cheongyecheon. The river was then overflowing with sewage and the Japanese tried on several occasions to cover it up but failed due to a lack of funding. 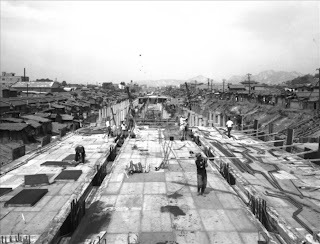 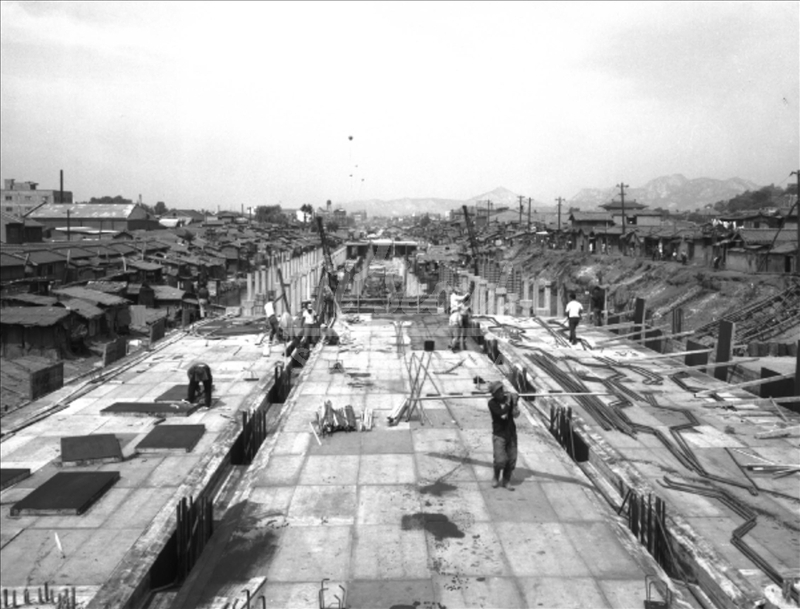 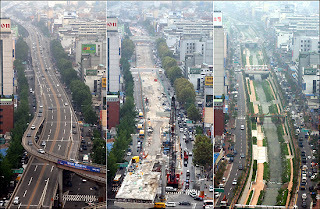 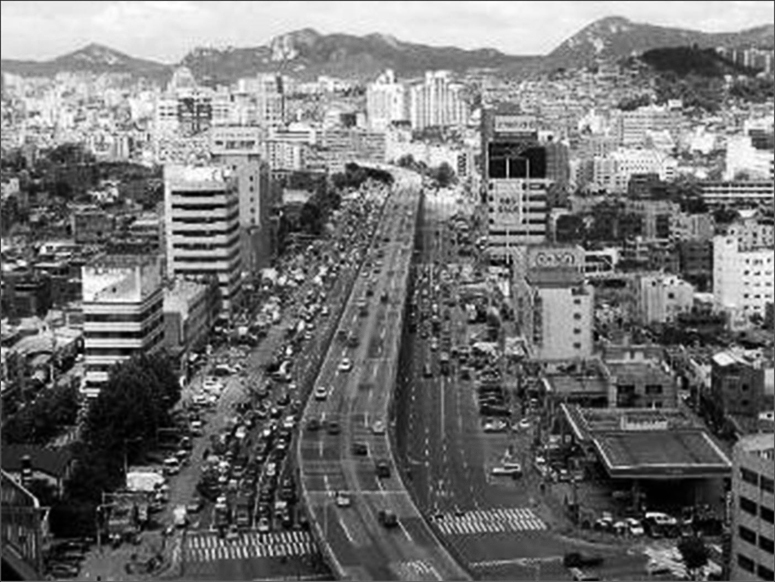 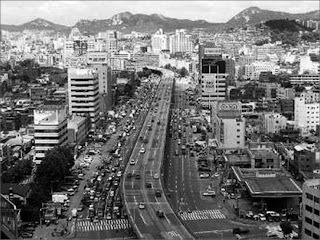 The highway remained in place for more than 30 years until in 2003, when Lee Myung Bak, then mayor of Seoul, decided to demolish the road and restore the river. 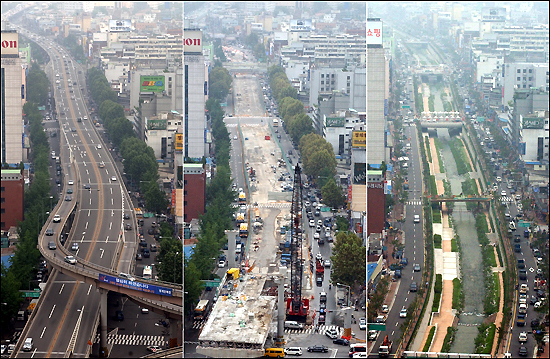 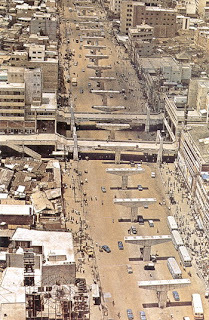 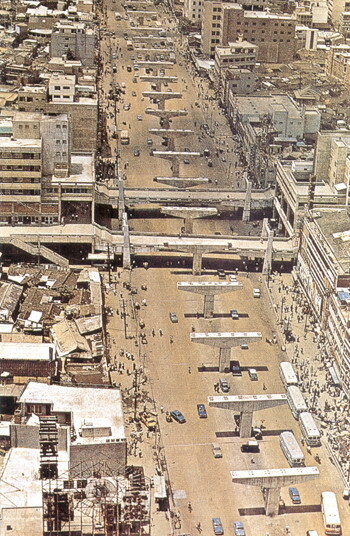 The project costed an estimated 281 millions and was completed in September 2005.